A literature student at the University of Birmingham who is happiest in her walking boots with a pen in hand. The West Midlands is not known for its hiking opportunities, that title tends to be reserve for the idyllic Lake District or our neighbouring Peak District. Yet, nestled in the heart of the Malvern Hills at 425m is the highest point in the county: Worcestershire Beacon. The slightly challenging but steady ascent is well worth the reward of the fabulous views that await on the summit. 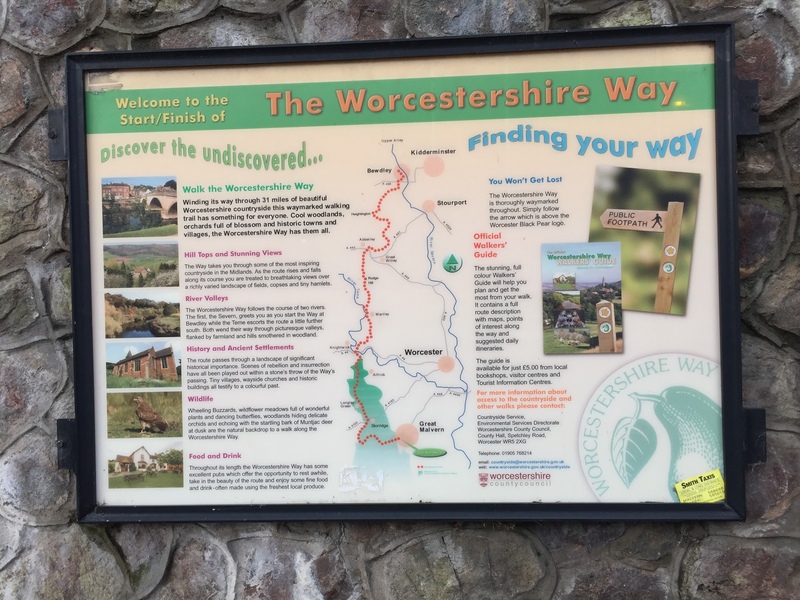 The wide variety of paths on offer makes the Malvern Hills accessible for all age groups and most walking abilities whether you're a seasoned walker or just want some stunning scenery whilst you attempt to exhaust the dog/kids. A lot of walks are focused on the view from the summit; a whole walk is often centred around this one goal. However, a walk through the Malvern Hills offers spectacular views all the way up and they just get better and better with each step. Furthermore, there are lots of seats and excellent places to stop and take in the fabulous views of the West Midlands as you ascend to the summit. 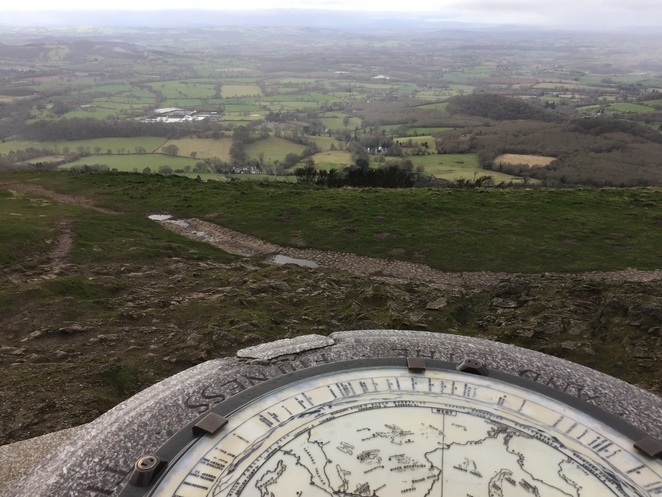 The summit of Worcestershire Beacon does not disappoint, offering spectacular views of the Black Mountains in the West and over as far as Oxfordshire in the East. The toposcope, erected in 1897 to celebrate Queen Victoria's Diamond Jubilee, identifies all the geography visible of the British countryside and it is amazing how far you can see. However, the summit is very windy and potentially chilly but that's not a surprise given that it's 425 meters above sea-level, maybe pack a fleece to keep you warm if you intend to stop for lunch at the peak (which I would definitely recommend because the views are phenomenal). At the foot of Worcestershire Beacon is a lovely coffee shop by St. Anne's Well for that much-needed beverage and toilet break. 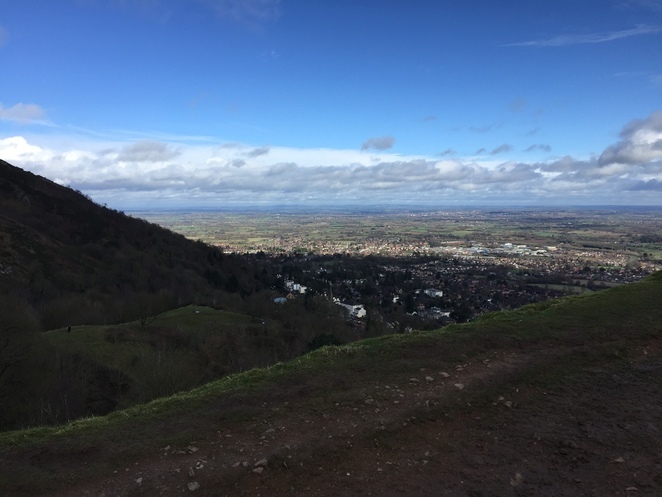 If doing a short walk from Malvern, I would recommend between two and three hours, but if you desire to extend your walk to encompass the full range of the Malvern Hills, then I would recommend taking the best part of a day. More information on walking routes and about the hills can also be found here. Absolutely stunning views, well worth the walk. On a clear day you really can see for miles.